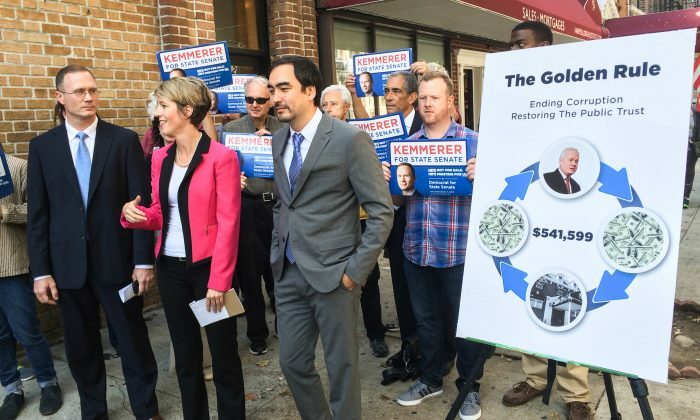 NEW YORK—Zephyr Teachout and Tim Wu, who lost to Gov. Andrew Cuomo and Kathy Hochul in the Democratic primary, endorsed James Kemmerer on Wednesday, in his bid to unseat Republican state senator Martin Golden. Ms. Teachout and Mr. Wu excoriated Golden for spending over a half a million in campaign funds in the past decade at the Bay Ridge Manor, a catering hall owned by his brother and where his wife works as a manager. Golden’s campaign spending habits dovetailed with Teachout’s longtime work on public campaign financing, the lack of which she blames for much of the corruption in American politics today. Tim Wu, a law professor at Columbia most notable for his coinage of the term “net-neutrality,” touted Kemmerer’s tech credentials—he works as a web developer—and reiterated the importance of electing a Democratic majority in the state senate. He promised that as state senator, he would sponsor an anti-corruption law that would crack down on certain uses of campaign funds, such as patronizing a business where “a family member who shares the same address as the elected official” also works. This would outlaw Golden’s expenditure at the Bay Ridge Manor, because he presumably lives with his wife. “In this age of corruption, New York state is one of the most corrupt states in the country. We have some of the highest campaign contribution limits, we have a lot of elected officials who are indicted, resign in their race, and even go to jail,” Kemmerer said. Golden’s spokesperson Ray Riley fired back at Teachout and Wu’s endorsement by insinuating that they were a part of the extreme left, and supported Kemmerer only to return the favor. “It’s never a surprise when Occupy Wall Street gets together. It’s unfortunate when it comes to Bay Ridge,” he said, alluding to Teachout’s participation in the 2011 protests against the finance industry. 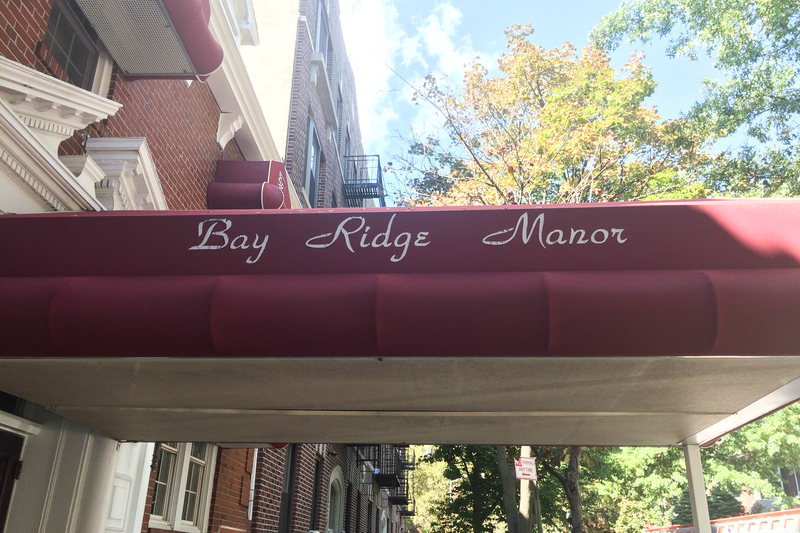 Golden’s office has previously defended their patronage of the Bay Ridge Manor as a normal part of campaign expenditures. “The senator hosts numerous community and political events throughout the district, throughout the year to directly engage his constituents and help them with various community concerns and legislative questions,” Riley told the Observer in February. NEW YORK—The Teachout-Wu campaign has launched on all out assault on the governor’s running mate as the prospects of displacing Cuomo himself evaporates.